Are you showing any signs of aging? Want to turn back the hands of time? Reverse sun damage? Erase fine lines and crows feet? How about deep acne scars? PRP is a non-surgical procedure utilizing platelets from your own body that are filled with beneficial Concentrated Growth Factors. These Growth Factors activate the bodies healing ability and stimulate skin recovery and smoothing. This treatment has garnered a lot of media buzz because of its popularity with celebrities and it's sensational nickname. 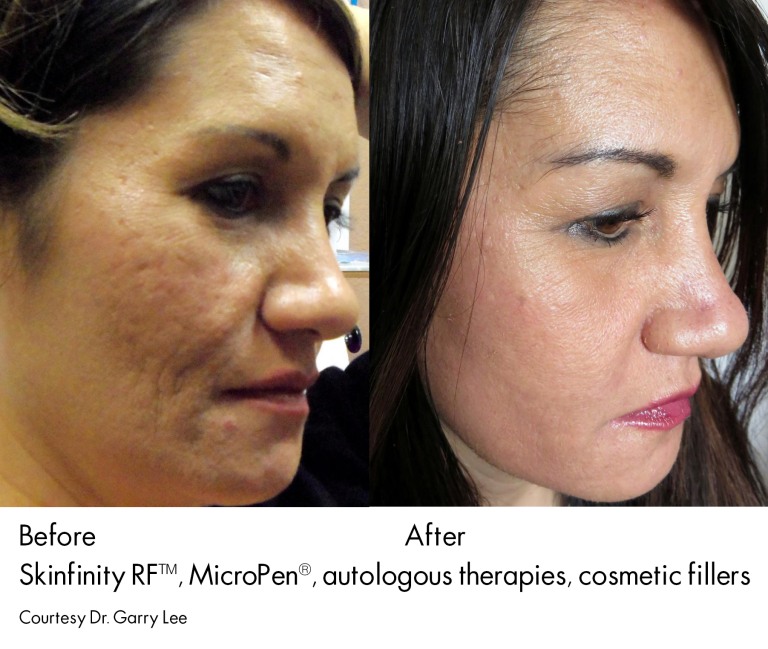 Skin RN is proud to offer the highest quality PRP solution, utilizing micro-needling with a micro-pen stylus. Platelet-Rich Plasma (PRP) is an autologous concentrated preparation of platelets and the associated growth factors in a small volume of plasma. Platelets are a natural source of a number of growth factors in their natural and biologically-determined ratios. Upon activation, platelets release growth factors and other molecules. These growth factors are regeneration-promoting signaling molecules, such as Platelet-Derived Growth Factor (PDGF), Transforming Growth Factor group (TGF), Epidermal Growth Factor (EGF), Vascular Endothelial Growth Factor (VEGF), Fibroblast Growth Factor (FGF) and others. These molecules are shown to regulate the healing cascade, including inflammation and cell proliferation. When you arrive, we will apply a topical numbing cream to the treatment area. While the numbing cream is processing, a small amount of blood will be drawn and placed in a centrifuge where the concentrated plasma is collected as it is separated from the blood cells. Using a micro-needle pen, the PRP (Platelet Rich Plasma) is pushed down into the skin through micro-needling, encouraging skin renewal through new collagen production and fresh skin cells full of the most concentrated Human Growth Factors available. Most patients notice a tightening effect immediately following their treatment. An improvement in the skin's texture and tone are visibly noticeable within 5-7 days. Optimal benefits can be seen in a series of 3 treatments spaced 1 month apart. Full results are noticed 2-3 months after initial treatment as new collagen has been produced leaving the skin refreshed, plump, and rejuvenated. These results can last between 1-2 years depending on the individual. Say good-bye to dark circles and puffiness under the eyes. Includes one syringe of filler and PRP injections. Includes a syringe of filler and PRP injections.